Email or call us for information about purchasing this item. A young wife's new job pits her against the unfeeling machinations of the universe in a first novel Ursula K. Le Guin hails as "funny, sad, scary, beautiful. I love it." In a windowless building in a remote part of town, the newly employed Josephine inputs an endless string of numbers into something known only as The Database. After a long period of joblessness, she's not inclined to question her fortune, but as the days inch by and the files stack up, Josephine feels increasingly anxious in her surroundings-the office's scarred pinkish walls take on a living quality, the drone of keyboards echoes eerily down the long halls. When one evening her husband Joseph disappears and then returns, offering no explanation as to his whereabouts, her creeping unease shifts decidedly to dread. As other strange events build to a crescendo, the haunting truth about Josephine's work begins to take shape in her mind, even as something powerful is gathering its own form within her. She realizes that in order to save those she holds most dear, she must penetrate an institution whose tentacles seem to extend to every corner of the city and beyond. 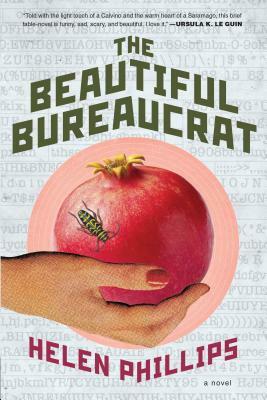 Both chilling and poignant, The Beautiful Bureaucrat is a novel of rare restraint and imagination. With it, Helen Phillips enters the company of Murakami, Bender, and Atwood as she twists the world we know and shows it back to us full of meaning and wonder-luminous and new. Helen Phillips is the recipient of a Rona Jaffe Foundation Writer's Award and the Italo Calvino Prize and more. She is the author of the widely acclaimed The Beautiful Bureaucrat. Her debut collection And Yet They Were Happy was named a notable book by The Story Prize. Her work has appeared in Tin House, Electric Literature, and The New York Times. An assistant professor of creative writing at Brooklyn College, she lives in Brooklyn with her husband and children. “Like Margaret Atwood and Ursula K. Le Guin before her, Helen Phillips addresses society's ills - or, in this case, the soul-sucking, hope-obliterating work of the low-level bureaucrat - with an insistent eye for originality... The overarching mood... is one of deliciously impending doom, which both science fiction and literary readers will happily, if anxiously, want to see through to its revelation.” —Bustle "August Round-Up"
“Helen Phillips' story is slick, and her words are inspired. This certainly won't be the last you'll be hearing from her, so pick up her debut before all of your friends.” —Bustle "Best Books of Summer 2015"
“Thrilling” —Buzzfeed Books "What New Book You Should Read This Summer"
“Told with the light touch of a Calvino and the warm heart of a Saramago, this brief fable-novel is funny, sad, scary, and beautiful. I love it.